There's something bitter-sweet about Brutalist architecture. A new vision of the future, a bold concrete rebellion against the lightness and frivolity early 20th century architecture, brutalist beasts shouted loudly across newly-developing cities their daring message of new communities, all living together harmoniously in streets in the sky. Were Brutalist architects misguided? Soon to become a much-maligned representation of the most bleak and dystopian corners of society, brutalism very quickly fell out of favour with the masses. Did the stark, looming architecture itself cultivate the very societal demeanour with which it would scorningly become associated? Did society miss the point and fail to embrace the powerful statement made by ominous swathes of raw material sculpted into menacing geometric monoliths? Whilst many stunning Brutalist structures have been tragically lost forever at the hands of short-sighted authorities and greedy developers, in recent times more and more buildings in the style are being protected, resurrected and most importantly: appreciated. 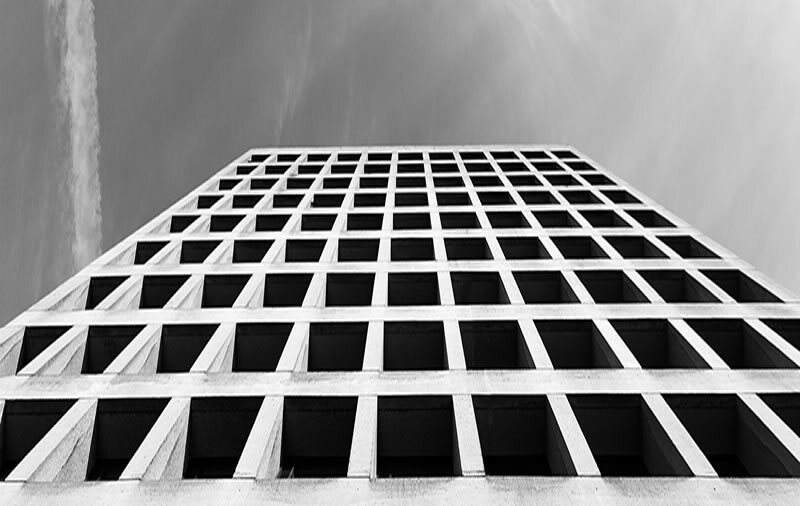 We're not the only ones with a passion for Brutalist Architecture. Watch this space as we continue to expand our Guest Contributors section and bring you content on Brutalism from all corners of the globe! Want a spot? Please get in touch! This site has been created by two obsessive fans of Brutalist architecture looking to create a single, central resource for all things Brutalism. We also know the difference between "brutalist" and "brutal" - an unfortunate and overly-perpetuated misunderstanding which has beleaguered many purists. It is unlikely that this site will ever be "finished". We've set about a bold plan to document every Brutalist structure in the world, with as many photos, facts & figures, personal stories and other rich content we can get our hands on. The launch version of the site is but a mere embryo; a structure upon which we can start adding many layers of glorious concrete. If you believe that any images or content found on this site are in breach of copyright or being used without relevant permission then please contact us. We are always happy to provide credits for content and will add backlinks to sources where applicable. Where necessary we will remove any content which we do no have the correct permission to publish. If you are submitting content, please ensure that you have the relevant permissions to use any photos, text or other content which you are sending us.